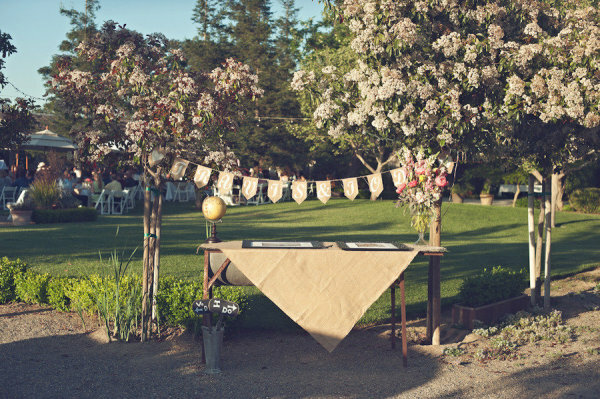 I love the foliage in this wedding. 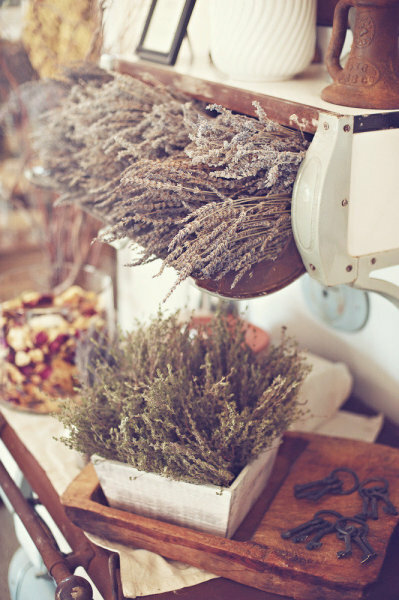 It took place on a lavender farm, so of course it’s stunning. But really, it’s stunning. Now you believe me, right? 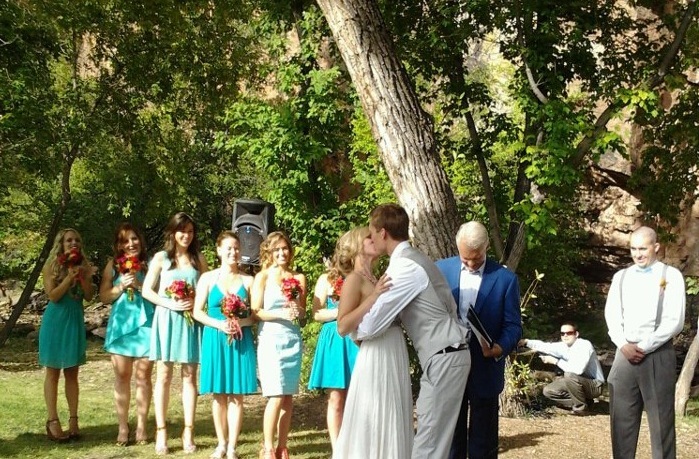 This is another couple that took an amazing venue and played off of their surroundings. The details they have seem to flawlessly blend in instead of blaring out like some contemporary weddings today. It creates a more whimsical and classically romantic effect, I think. Though both techniques are perfectly fitting for different couples. Lots of burlap. Lots of wood. 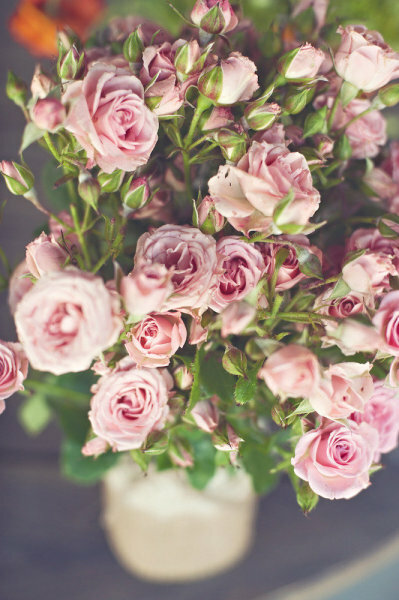 And, of course, lots of flowers. 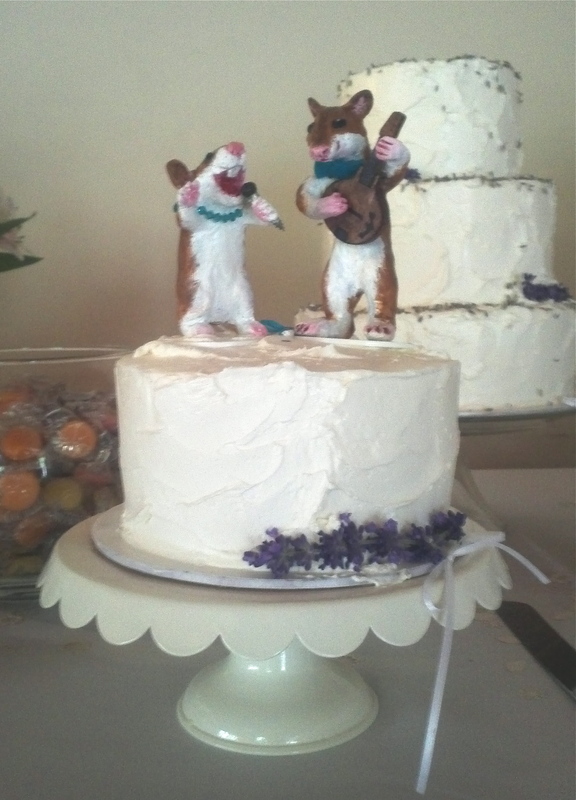 The cake I designed them is three destinct tiers. 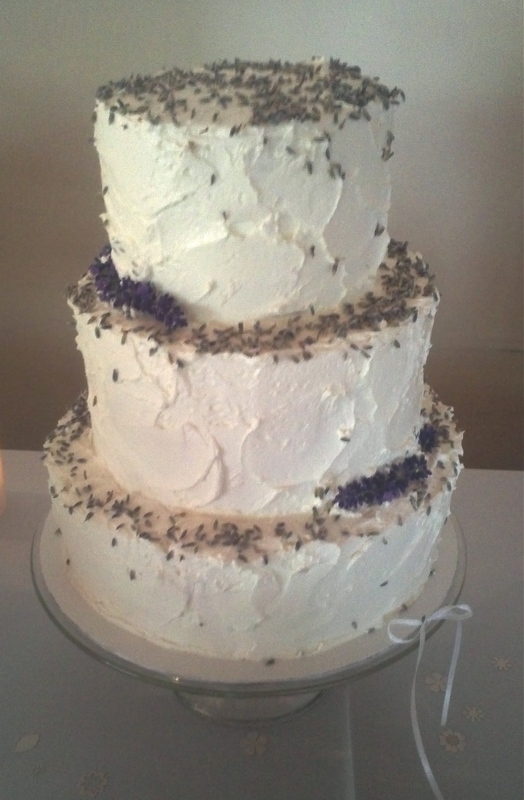 The top tier has lavender sprigs that reach above the top of the tier. 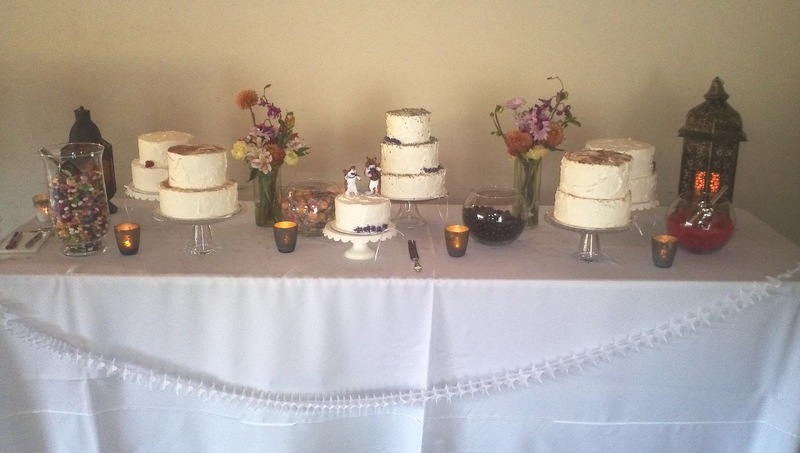 The second tier is plain white. 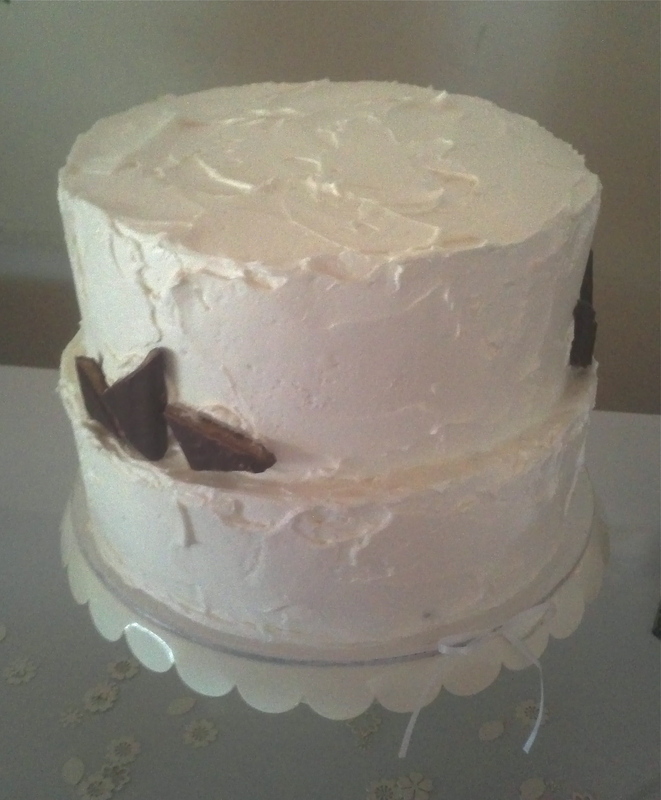 The third tier is folds of soft pink fondant that create a bunched, flowing, almost fabric effect. 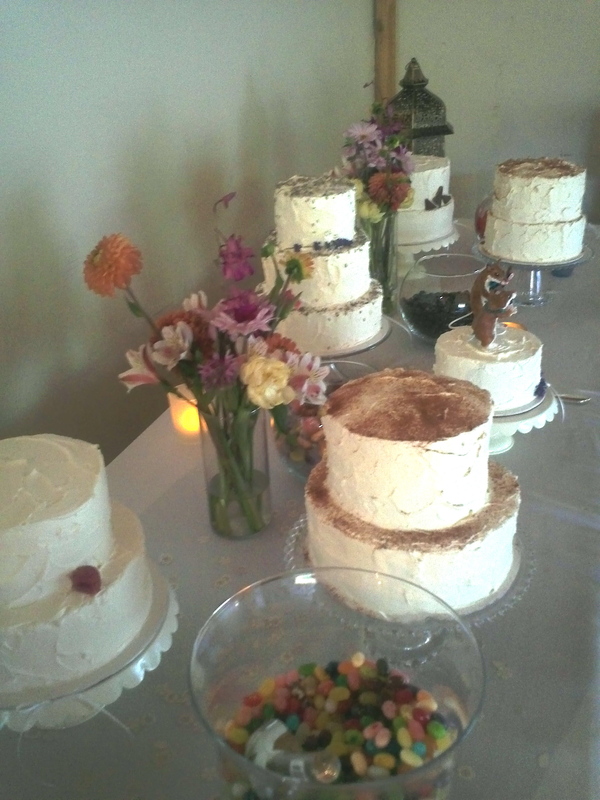 The bottom tier is twelve inches, the middle ten, the top eight. 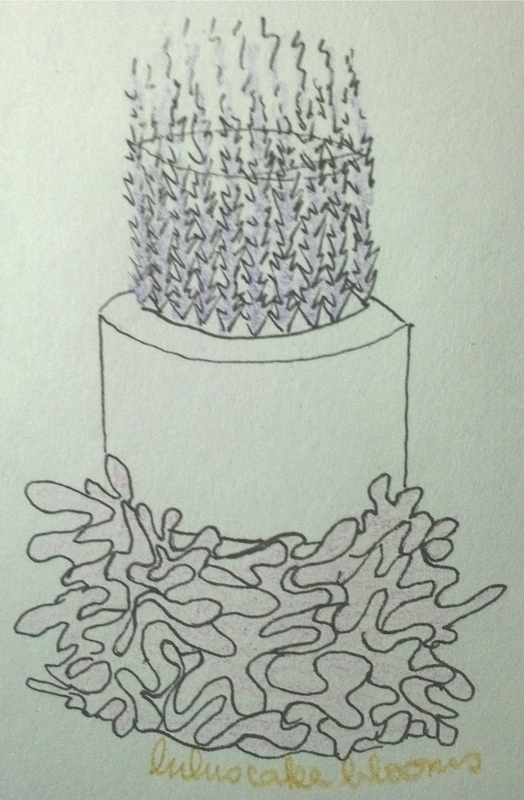 It would serve around ninety people. 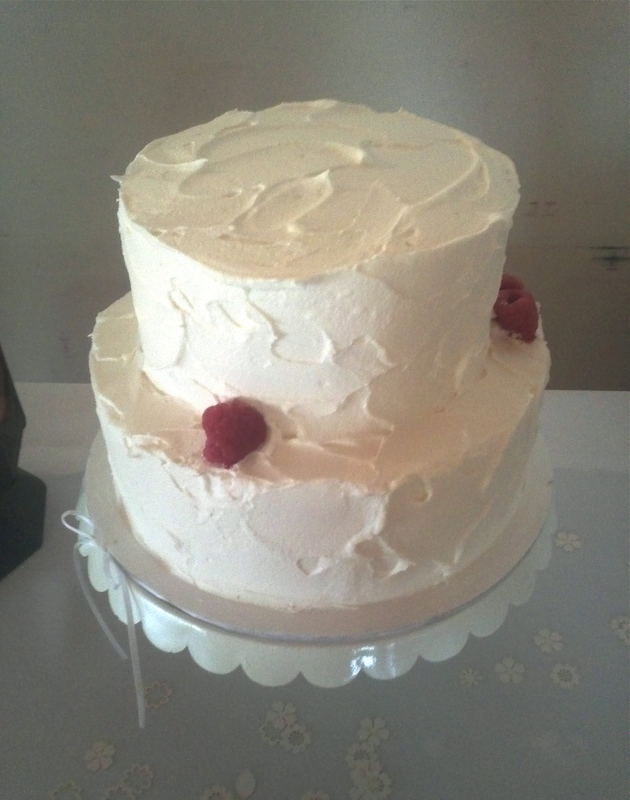 Stickin’ with the theme, I’d make a vanilla cake with a honey lavender buttercream. 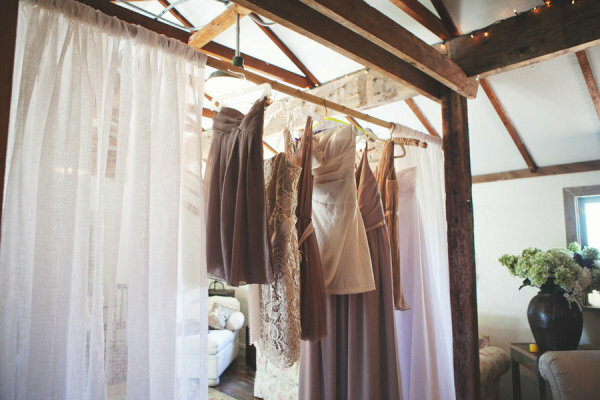 The wedding is from Style Me Pretty. Lovingly photographed by Closer to Love Photography. 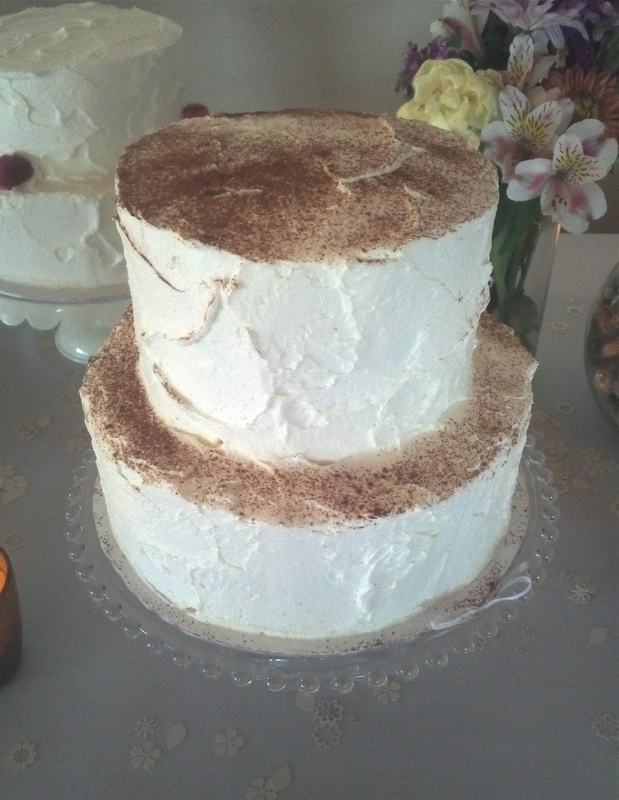 This entry was posted in Cake Designs and tagged cake, decor, decoration, design, dessert, elegant, farm, floral, flower, lavender, outdoors, romantic, rustic, sugar, wedding, whimsical on June 9, 2012 by Lulu.